Tony Thewlis (THE SCIENTISTS, INTERSTELLAR VILLAINS) is the responsable for this new project, THE SCOUNDRELLES. 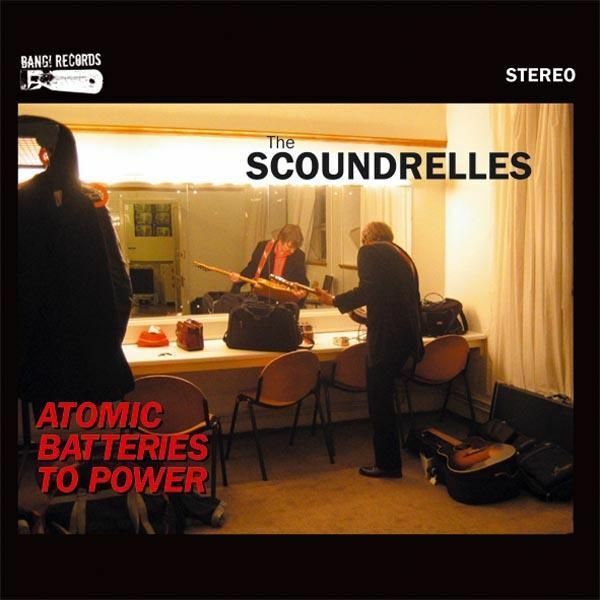 A gathering of his unique style well known due to his work in THE SCIENTISTS and influences such as ALEX CHILTON or T-REX, create the sound of THE SCOUNDRELLES, where pop meet impossible melodies and interstellar music trips. Noise pop and beautiful sounds taken to weird places by the hand of this master of electric sound. Mentioning the cover of SUCIDEs "rocket U.S.A." is a must in order to see where the music goes to. A beautiful gem manufactured by BANG! Rcds. for this Australian musician and his band located in London. Triple-panel digipack CD! 180 gram vinyl, gatefold jacket, lim.ed of 500!